The Tarsh exiles are a hard and ruthless people living in a hard and unforgiving land. 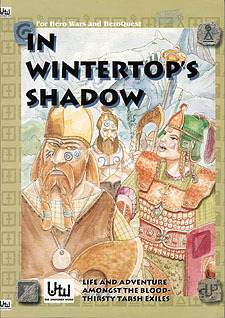 Dare you enter the lands even the Lunar Empire has failed to conquer, in Wintertop's Shadow. Contains full background for play in the exile lands, including 2 scenarios.